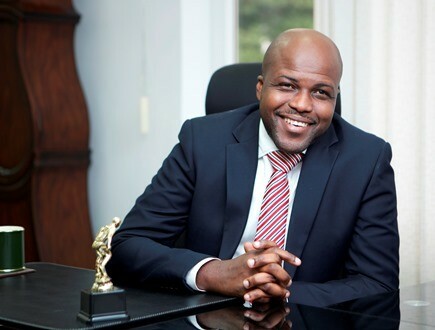 Group Chief Executive Officer for the Databank Group, Kojo Addae-Mensah, is set to host a new and intriguing sports show on Ghana’s number one sports station, Happy FM. The maiden edition of the weekly show dubbed ‘Kojo’s Corner’ is slated for Friday February 3 at 8:30am. Mr Addae-Mensah will take on topical issues that emanate during the week under review on Happy FM’s Anopa Bosuo Sports Show. According to the Programs Manager of Happy FM, Kwesi Sarpong, Kojo Addae-Mensah is an avid football fan and pundit who is well versed in the area of sports. He is also an ardent supporter of Kumasi Asante Kotoko. “With his rich experience in sports, ‘Kojo’s Corner’ promises to be one of the best sports segments which will see the presenter undertake fantastic reviews in the world of sports. “ Mr Sarpong stated. “ We cannot wait for our listeners to experience our newest addition to the team” Mr. Sarpong added. Kojo Addae-Mensah is Group Chief Executive Officer of Databank Group with over 15 years of banking experience. Prior to joining Databank Group, he was the Chief Operating Officer of Ghana Commercial Bank Limited, Ghana’s largest and most profitable bank. Prior to that was the Chief Operating Officer of Barclays Bank Ghana Limited, the largest foreign-owned bank in Ghana. He has a wealth of experience and an in-depth knowledge of the financial services industry in Ghana. Kojo’s experience is not only in the commercial banking space, as his career began at Databank in 1998 with the corporate finance team. This is where the Databank’s Leap High values of Leadership, Excellence, Humility and Integrity were imbibed in him. Kojo has lived by these values throughout his successful career and will continue to ensure it is the cornerstone of Databank Group. Mr. Addae-Mensah has a heart for helping those in need and is a Director of the Changing Lives Endowment Fund, aimed at supporting bright and needy students at the SHS level. Kojo is motivated by his desire for excellence and results, which is reflected in every task that he completes, both inside and outside of the office, and in the people that he surrounds himself with. He holds an MBA in Finance and a BA in Economics both from the University of Ghana, Legon. He is married with one child.